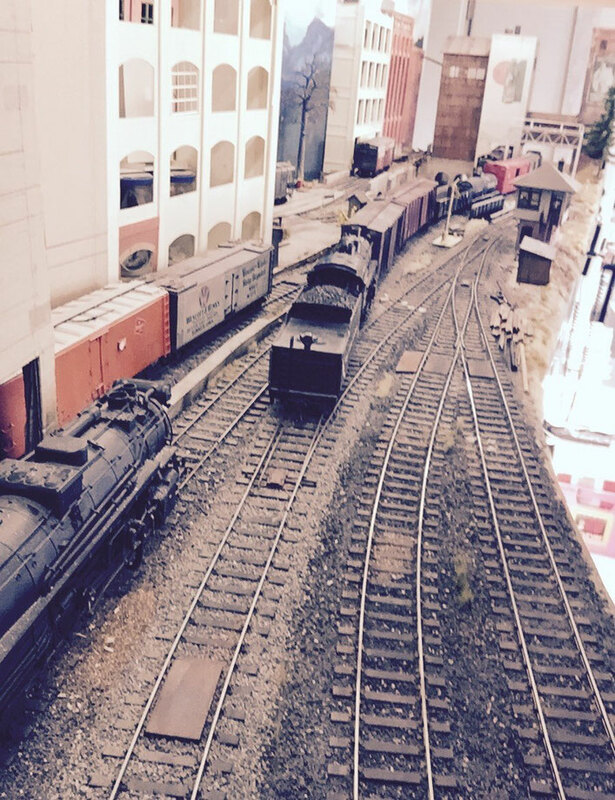 K&LE's Rook Yard, Pittsburgh Pa. - kandle-railroads Webseite! 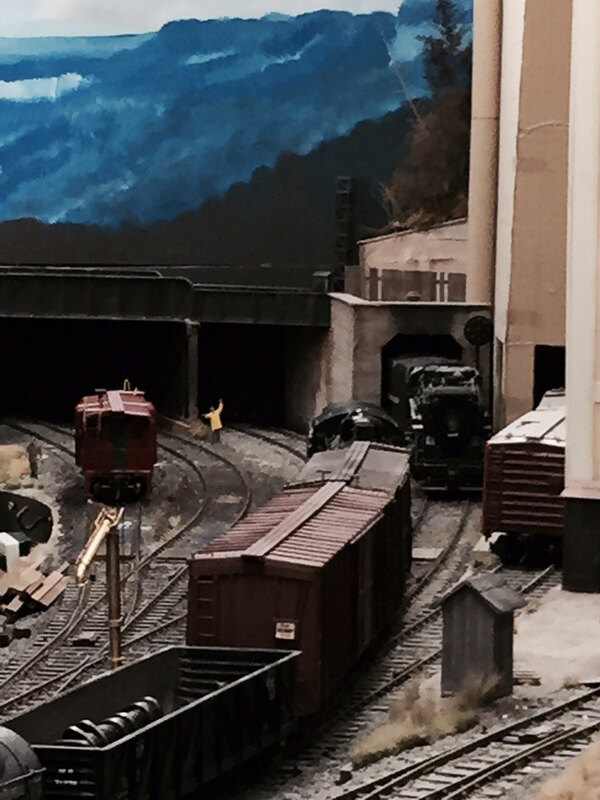 K&LE's Rook Yard, Pittsburgh Pa.
Rook yard is the centerpiece of the layout. The visual impression is a yard throat with the tracks nestled between the industrialized hillsside and the river bank. 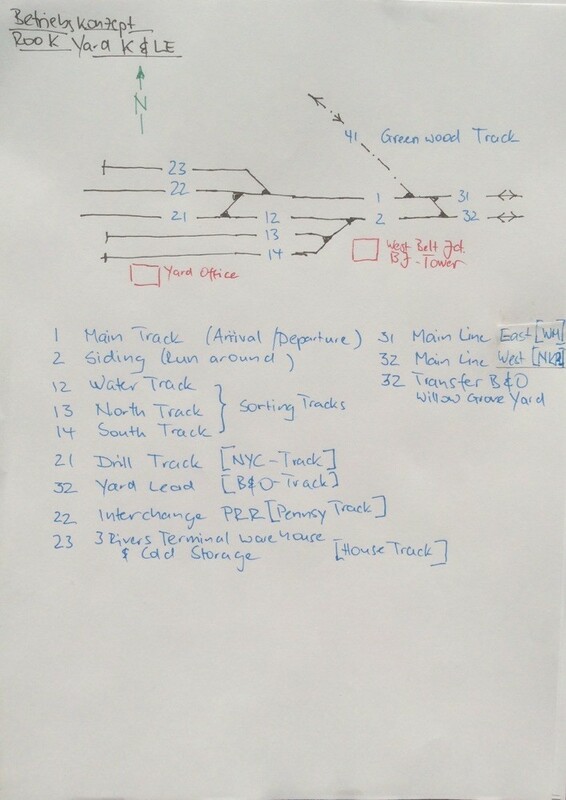 In the operational scheme nearly all K&LE trains originate or terminate in Rook yard.